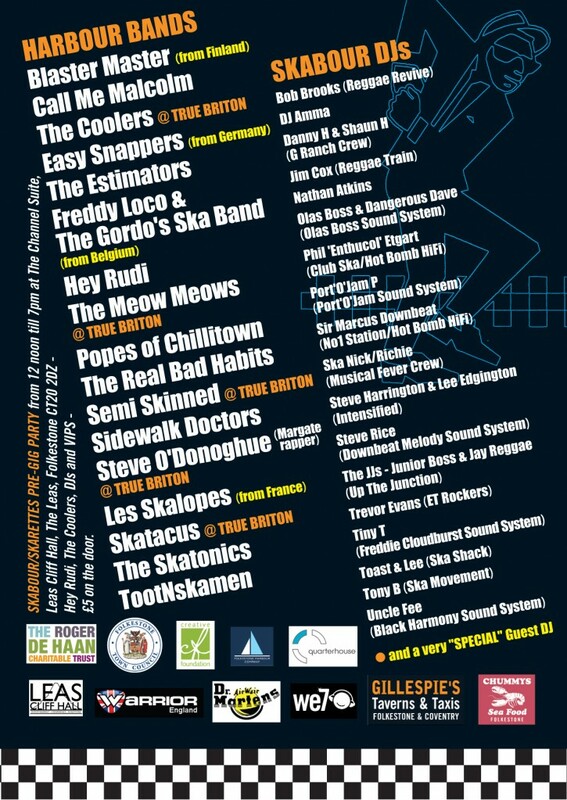 Skabour this year shows a brilliant mix of ska talent. The new young bands on the block now carrying the ska flag with their own songs and style of ska in an indie/punk/jazz way. The establshed bands. Plus the bands with the classic ska faves and covers. Likewise the DJs of all up and coming or 2 Tone and old skool. Look out for the Trojan Lawn this is an old rude boy 50s style Jamaican “lawn” or “yard” with its own bar, solid old skool DJs, the famous Downbeat Melody Sound System all the way from Bristol, caribbean food and rum punch. Skabour Market with Dr Marten’s, Emporium of Margate with Warrior Clothing, Jill Corbett classic leather styled pork pie hats… and 2 Tone Posters and Skabour merchandising. Sun, sea and… SKA! 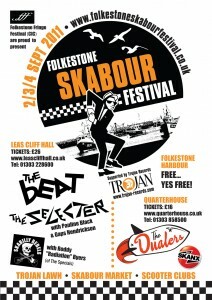 The 2nd Folkestone Skabour Festival is on Sept 2, 3 and 4. This will be bigger and even better with 23 bands and 22 DJs. 4 European ska bands from Finland, Belgium, France and Germany. Trojan Lawn, Skabour Market, Scooters with comps and ride outs. Ticket evening events at Leas Cliff Hall and Quarterhouse. The festival is FREE at the harbour. 2 Tone Poster exhibition and framed pictures to buy from Space Gallery, Folkestone. SKABOUR… sun, sea and… SKA! You are currently browsing the classic 2-tone graphics news archives for July, 2011.